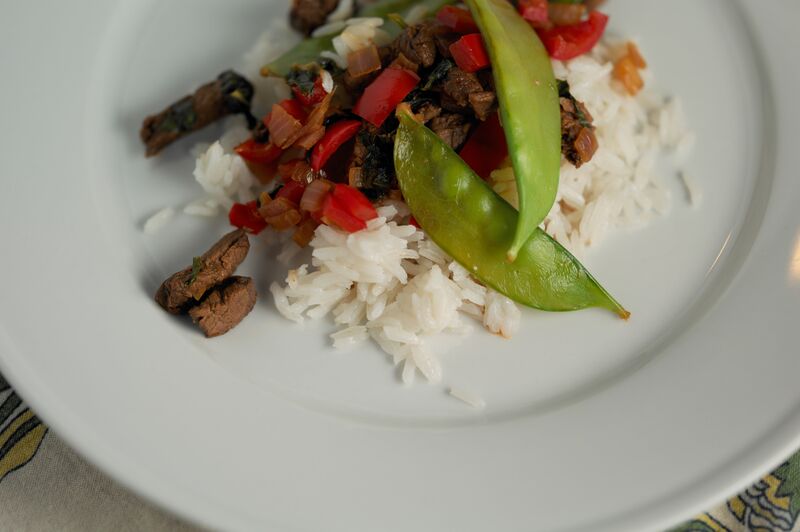 Shake it up a bit this week and try this Thai Sweet Basil Antelope recipe. Whether you have had the privilege or were lucky enough to bag an antelope, got some antelope from a wild game distributor like Broken Arrow Ranch or just need a new way to cook the antelope in your freezer, try this Thai Sweet Basil Antelope recipe. Cook the rice in the coconut milk (amount varies on how many diners). Saute the onion and garlic then add the antelope, cut into cubed/small bites. Cook until cooked through and the meat is nicely browned. Add the bell pepper and soy sauce. Add sriracha or your choice of spice (amount depends on how spicy you like it!). Add sugar and stir. Taste to see if it is the right combo of spice, sweet and salt. Add snow peas, bamboo shoots, and basil and continue to cook for a few more minutes. Serve over the coconut rice with some curry sauce drizzled on top! This recipe, compliments of From Forest to Fork, can be made with really any game meat. Get creative and enjoy!